Poodle Puppies – Star Creek Kennel, L.L.C. Welcome to our Poodle page. 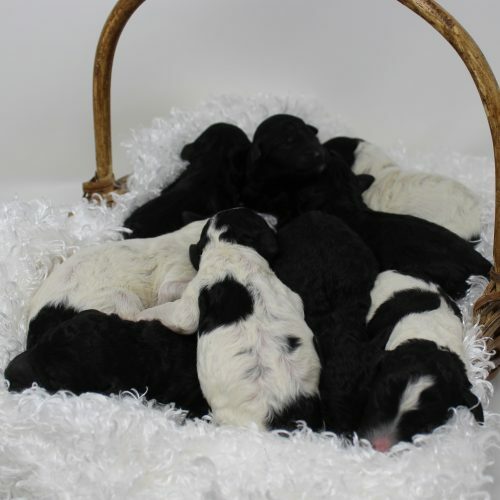 We breed standard, miniature and toy poodles so be sure to check out each litter page. Notice that birth dates and ready to go dates are listed for each puppy. Puppies will not be ready to go to homes until they are 8 weeks old or even longer. The smaller the puppy, the longer they stay with us. We accept applications and non-refundable deposits at any time for current or future litters. Notice! We reserve the right to take pick of the litter on any litter for our Breeding Program. We do not take a breeder’s pick with every litter. Breeder’s pick is before any customer’s first pick. We are an Iowa State licensed business and therefore must charge 7% Iowa State tax for any puppies picked up in Iowa. ©2019 - Star Creek Kennel, L.L.C.